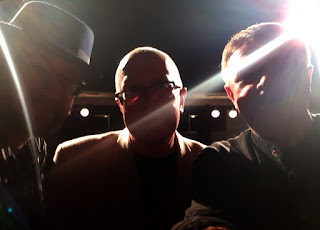 Andres Roots, Mart Juur, Andrus Kivirähk. You can hear Tuesday's Rahva Oma Kaitse live radio broadcast from Athena Keskus HERE - the show includes five live numbers: "Meow Meow", "Build Me A Statue", "Jook Jones", "Station Blues Medley" and "Room Service". 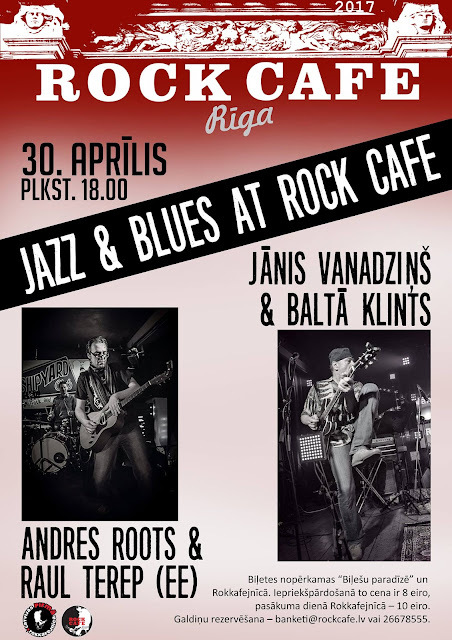 On Sunday, April 30 at 6 p.m., Andres Roots & Raul Terep will take the stage at the Jazz & Blues at Rock Café festival in Riga, Latvia. Also appearing are Jānis Vanadziņš & Baltā Klints.